Dropping the temperature of the food as quickly as possible is very important, and this doesn't just apply to sous vided food. Sous vided food just happens to be a type of food that people often keep for later. If you baked a big pan of lasagna that you were saving to eat for the week, it would be best to cool it before sticking it into the fridge. The same applies to sous vide. There are a few reasons to use an ice bath in this situation. The first is to reduce the temperature of the meat as quickly as possible, minimizing the time it stays in the danger zone. Cooling on the counter, in the fridge, or in the freezer relies on air to cool it, which is much less efficient than water. A 1" (25mm) piece of meat will cool below 40°F (4.4°C) in about 30 minutes in the ice bath, which is much faster than it would in the refrigerator (for more information on cooling, you can view all my sous vide cooling times). This might not affect the short term safety much if you are eating the food within a few days, but any bacteria growth now can affect the shelf life of the food. The second reason to use an ice bath after sous vide is to prevent a warm hunk of meat from heating up your refrigerator or freezer. Adding hot food to the fridge or freezer heats up the area around it, potentially putting a lot of food into the danger zone for some amount of time. Many new appliances can handle the increase of a few pieces of meat, though if you are cooking in bulk or have an older appliance, it can be more of an issue. The final reason deals specifically with freezing. 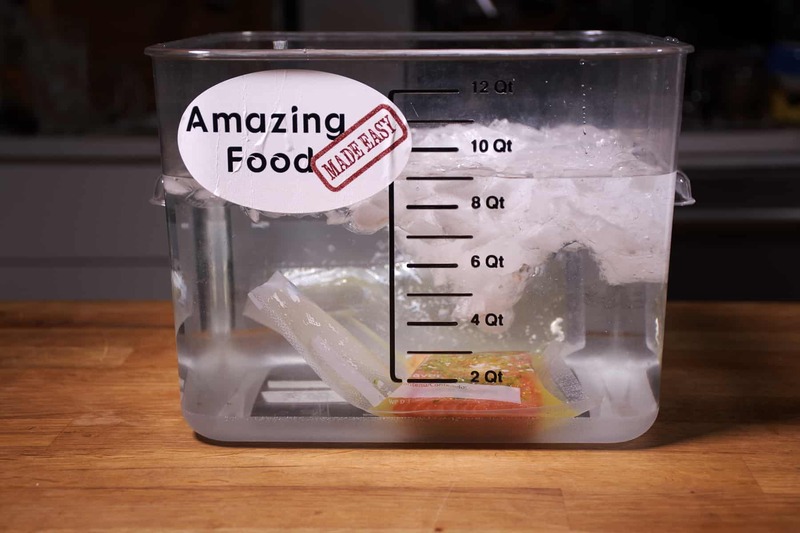 Most science shows that the faster food freezes, the better tasting it will be. So the hotter the food is when it goes into the freezer, the slower it will freeze, reducing the quality some. Depending where in the freezer you put it, it might also defrost the outside of other food, leading to extra freeze-thaw cycles that reduce the quality of food. When Do I Personally Use an Ice Bath? The above is all true as I understand it, and following it will maximize your safety and food quality, but there are levels to everything. Often it will come down to what you personally want to do, and how much time you have. 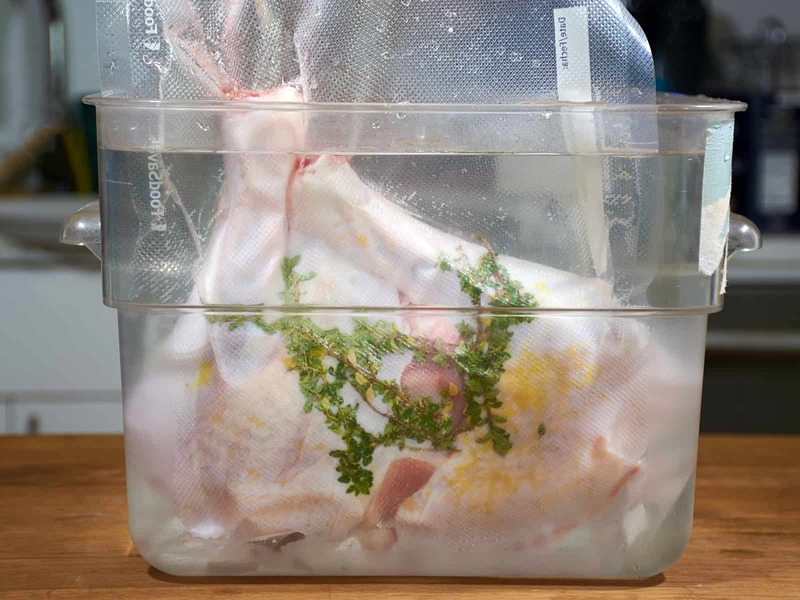 You *probably* won't have any issues sticking food directly from the sous vide bath into the refrigerator. At least if it is a decent fridge and there's not too much food. And the loss of quality from adding it directly to the freezer probably won't make *that* big of a difference. I personally always chill food I am storing in at least a cold water bath, and sometimes an ice bath. Even using cold water drops the temperature of the food a good 60 to 90 degrees Fahrenheit. I then let the fridge or freezer do the rest. If you have small children, a pregnant woman, or older people in your household you may want to exercise more caution. If you are in college and eat pizza for breakfast that has been sitting on the counter all night like I used to, you might not care about chilling the food at all. If you bought high quality meat you may be more concerned with the food quality than if it was a cheap chuck roast. Hopefully now you at least have the information you need to make an informed decision about what you personally want to chill. Outside of the food safety issues discussed above, there are some times when using an ice bath makes sense from a flavor standpoint. One of the most critical steps in the sous vide process is the post-cook sear. If you do it too long you end up overcooking the meat. Do it too short and you are lacking the flavorful crust. The biggest impediment to a good sear is that the temperature of the meat is already at the final temperature you want to serve it, so any rise in temperature overcooks it. Chilling the food before searing it can remedy this situation and allow you much longer sears. Even chilling the meat for just a few minutes lowers the outside temperature of the meat enough to give you an extra minute or two of searing, leading to a better crust and less of a chance of overcooking. Deciding whether or not to do this extra step is really a matter of personal preference, and the type of food you are cooking. I've found the most benefit is gained with thinner steaks and cuts that profit from an extra sear like ribeye, chuck, duck breast, and other fatty cuts. Outside of those cuts I rarely chill before searing, but it is one more tool in your toolkit for making great food, especially if you have been struggling with getting a good sear. Similar to using an ice bath for better searing, chilling your food before smoking it can provide a big benefit. While it is impossible to replicate a 12 hour smoked piece of meat using sous vide, you can get pretty close when you sous vide the meat first and then smoke it for a few hours. To ensure the meat doesn't go above the temperature you want, you can first chill it in an ice bath before putting it on the smoker. Just monitor the internal temperature of the meat as it smokes and pull it out once it is ready to serve. You can usually get anywhere between 30 minutes to 2 or 3 hours on the smoker, depending on the size of the meat. The smoking also dries out the outside layer of the meat, which helps give it a more traditional brisket or pulled pork texture. 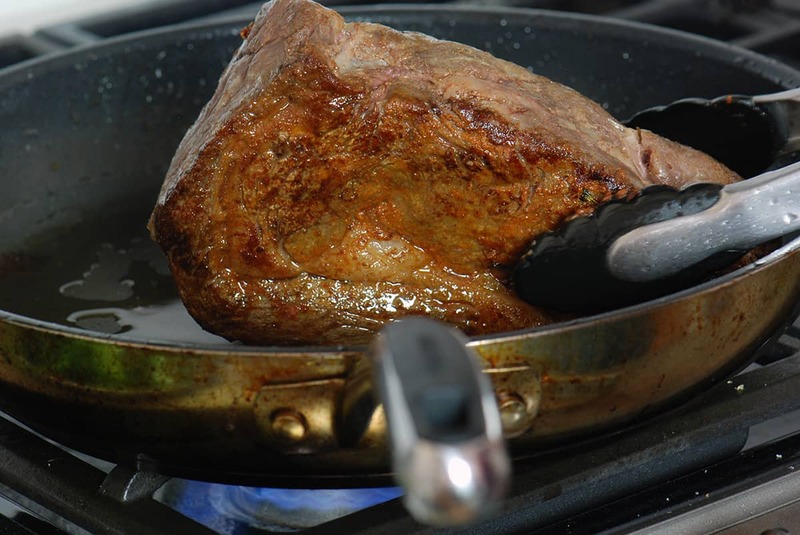 Some foods have volatile aromas and oils in them that can "burn off" during sous vide cooking. This normally occurs when making infusions using sous vide. 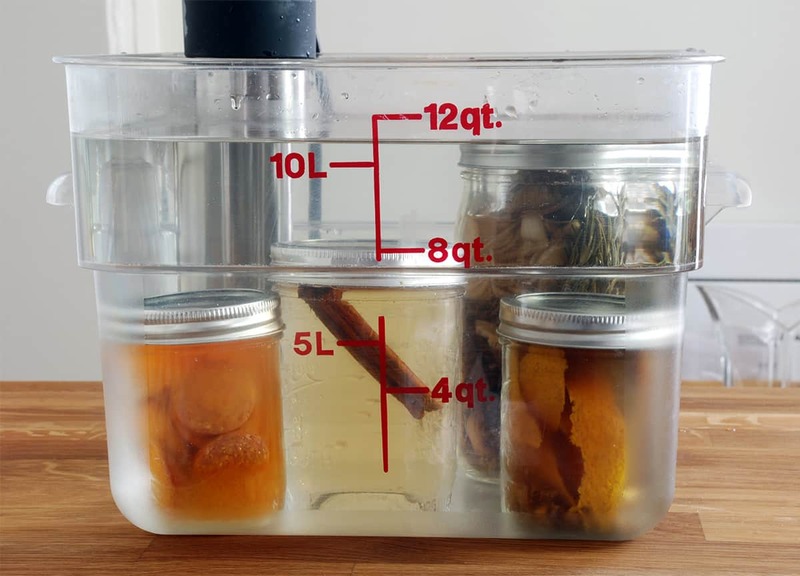 Chilling the infusion before opening the container helps prevent flavor loss. One final time that I use an ice bath is when I am preparing for a party. I'll often do all the cooking ahead of time, chill the meat, then reheat it on the grill or smoker when my guests arrive. 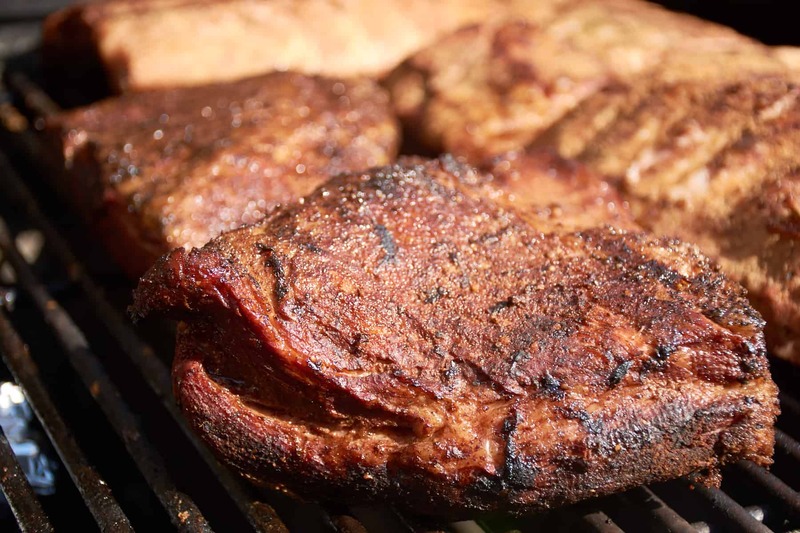 I already know the meat is perfectly cooked, but I still get the social interactions of people standing around the grill or smoker as the meat is finished off. When have you found using an ice bath is beneficial? Let me know in the comments or on the Exploring Sous Vide Facebook group.